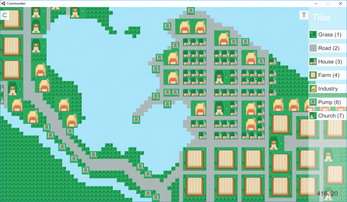 Communitas, our entry for the Ludum Dare 38, is a simplified take on a blend between city simulators and reddit.com/r/place. Create cities by building roads and buildings. To build a city, you will need some connected roads with at least one building. 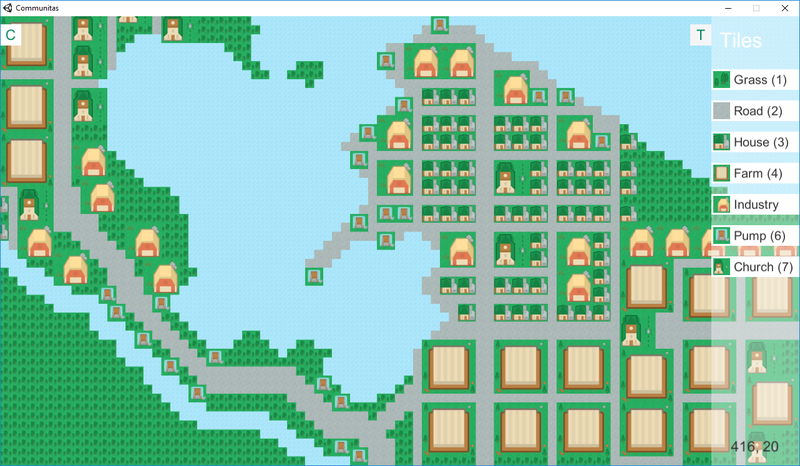 Each city has a score, based on its population size and quality of life. The best cities are going to show first on the list. Everyone that joins the world can change any tile and there is a little cooldown for building things. Try to help each other (or not)! Industry: improves the technology of the city. Use arrow keys or WASD to navigate and the mouse to select and place tiles.